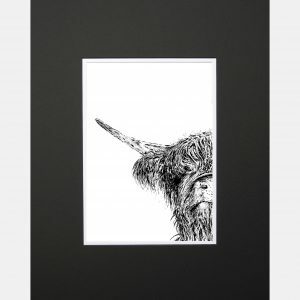 Highland Cattle are an old breed known to have grazed the rugged Scottish landscape since the sixth century. 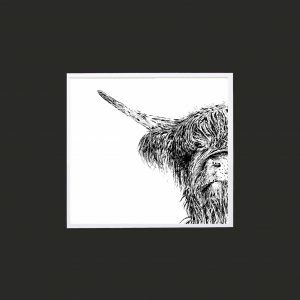 It is still a matter of debate as to whether they were an origin of Scotland or imported from Scandinavia perhaps with the Vikings when they invaded Great Britain. 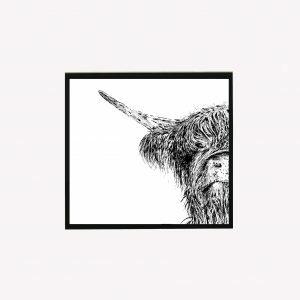 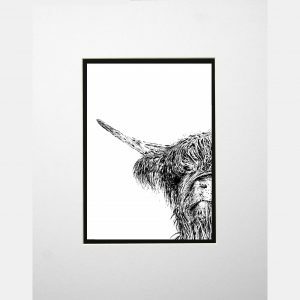 Coo Too comes from original drawings in both graphite and ink by Andy Webb.